Spring is the most talked about topic on my social media and here on the blog, it is safe to say that excited is an understatment. In the getting ready for spring post that was posted last week, there was a lot of talk about glow, dewiness and all round looking illuminous. 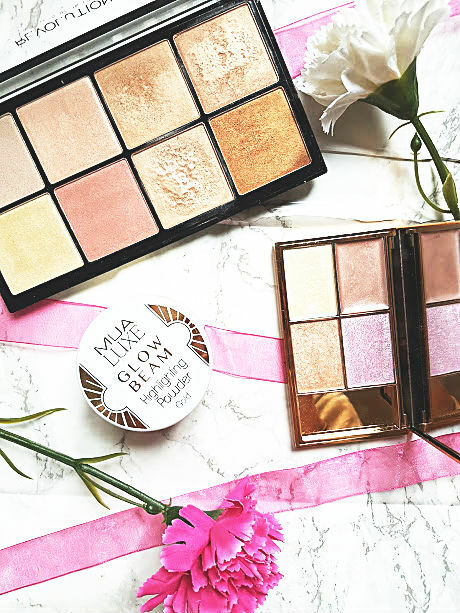 Both on my instagram and the post there was a lot of love for a particular highlighter palette and this stemed this post, three gorgeous highlighters for under £10 (well just about). Who said you had to spends ££ to achieve that glow? Let's start with my favourite of the three, Makeup Revolution's Ultra Glow Palette £10 which comes with eight different and ever so gorgeous highlighters. For me, the first four are too light on my skin and would be better suited to someone with a paler skin tone. Whereas, the four on the right hand side are perfect for me and look gorgeous. The best thing about this palette that makes it so verstaile, is that not only do you get eight different highlighters for the price of one but you can mix and match them all. Many palettes don't let you do this or you have to buy just one highlighter on its own, but this palette lets you have an array at your service. Each powder is very finely milled, creamy and so soft like eyeshadow - it applies to the skin beautifully and creates a stunning glow. If there is one 'drugstore' highlighter that is constantly talked about its the Sleek Solstice Plaette £10. In the compact you get two cream highlighters and two powders, both formulas are as good as each other. 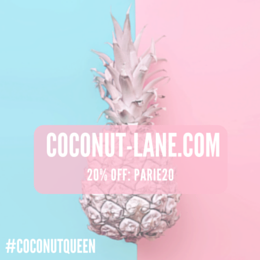 They offer an incredible amount of pigmentation, looks stunning on the skin no matter how pale or dark. I tend to go for the powders when I use this because powders are so much easier to work with, but lately I have been reaching for the creams and applying the tiniest amount on top of my base, spraying it with setting spray and then using the powder that correspondces over it. This creates a very subtle get phow wow look. The next one is a very new-ish discovery and one that I tend to reach for when I want to go all out, not just everyday. Its the MUA Luxe Glow Beam £5, which is bascailly a pure gold highlighter You'll find that the others mentioned in this post are either pink, an off purple or bronzy compared to this which is true gold. The packaging for this is not my favourite, you have to twist and turn, makes such a mess as the product goes everywhere. But, you kind of put that to one side because inside it is magical. One light dusting of this and you are going to look like a highlighter godess, very blendable to say its only from MUA and so pigmented. See, its so easy to achieve a glow without breaking the bank! You can read about my other highlighter favourites here, everything from £5 to £25. I really need to invest in a fan brush, they seem to be the best way to apply highlighter to all the important parts of your face rather than a small eyeshadow brush/fingers!